There has been very little information released about the new Elder Scrolls game, but what has been announced is pretty exciting. First of all there appears to be a new engine, and supposedly the faces and conversations have been greatly improved. That was one of the worst parts of the Oblivion engine, and I’m glad they finally got something new. Along with this new engine is an enhanced third person view which, if implemented well like in Risen or Gothic 4, then that is how I will play the game. Sadly we have no idea what “improved” means in any of these cases, and third person could be just as wonky as before. 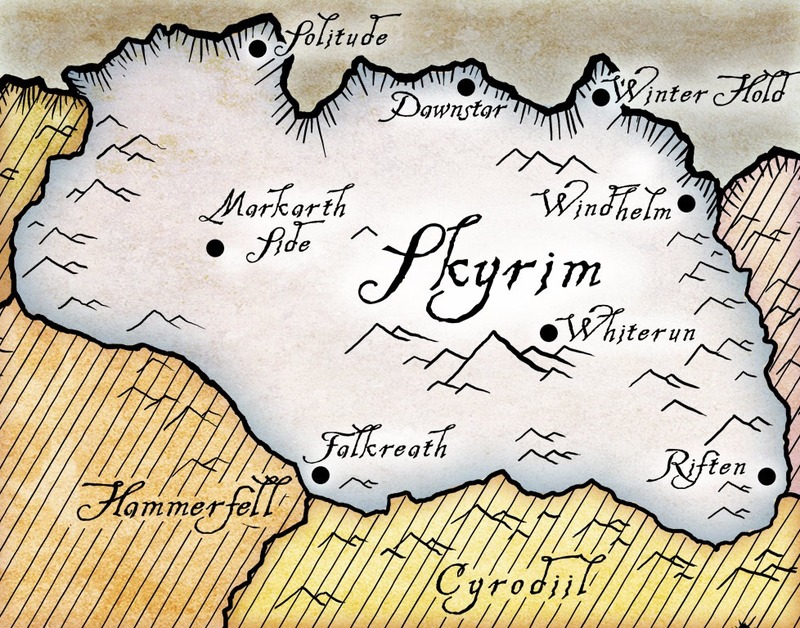 The location for the new game, Skyrim, wouldn’t have been my first pick for a location in the Elder Scrolls universe, but it’s not bad. I’m just glad they keep moving the location of the game. First of all it allows them to give us a completely new experience each time, which I am completely happy about. Sadly it’s not the Black Marsh, which I was hoping for. Am I worried about the snow covered mountains of Skyrim? Not after playing the Bloodmoon expansion for Morrowind. Bethesda knows how to do a snow covered landscape well. Dual Wield – Thankfully this is finally being implemented. Inheritance – If you kill a merchant NPC, his son will take over the business and remember you as the murderer. This could lead to some awesome moments if done right. Level scaling – Done in the style of Fallout instead of Oblivion, which I’m thrilled with. I love level scaling, and I feel the Fallout series got it right on the money. Radiant storytelling – The game records how well you do, and what you’ve done, so if you get a quest to kill bandits in a cave, it’ll pick a cave you’ll never been in, and populate it with appropriate level bandits. If you however just walk into a random cave it could be monsters that are far above your current level. Sprinting – GOOD GOD I’ve missed this. I HATED the lack of it in Oblivion, but it was especially bad in Fallout 3 and New Vegas where you didn’t have a horse to speed things up. Finishing moves – Unique to each weapon AND enemy you fight, this could seriously make melee combat much more interesting. I can’t wait for this game. The Elder Scrolls is by far my favorite RPG series, and it has been ever since I played Daggerfall in anticipation of Morrowind. If they can pull off everything they’ve promised, this game could give me as much play time as an MMO. More in some cases. What do you think? Leave you comments below.